I’m considering (again) putting together a weekly newsletter. There are a few reasons for this (that I won’t go into here). There’s just something about that medium that calls to me. I really enjoy the newsletter subscriptions from others. I found a lot of excuses to keep me from creating, this past week. Of all of those excuses, 100% of them are invalid. That should speak volumes to me. 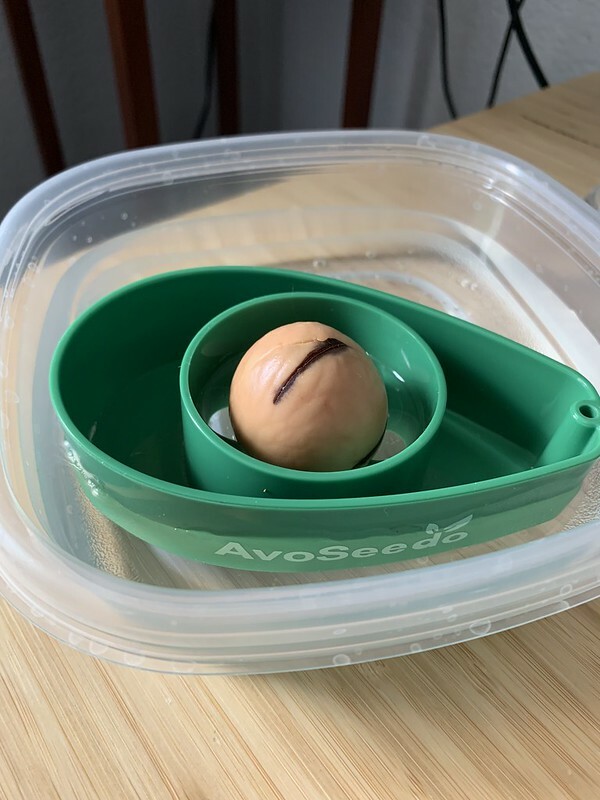 I started another avocado seed (photo above). I’m thinking I want to keep this on my desk until it’s big enough to transfer to a good size pot (and place outside). Speaking of which, I need to go and get some good size pots. The phone call came a little after 10 PM, last night. Some minutes later, we threw on our shoes and grabbed the car keys. A friend needed help. I’m so happy that we were here, in Sacramento, to help. The decision was made and communicated to the team. It was difficult. Very much so, especially factoring in the guilt. I know, deep down, that this was the right call. I need to prioritize my health.